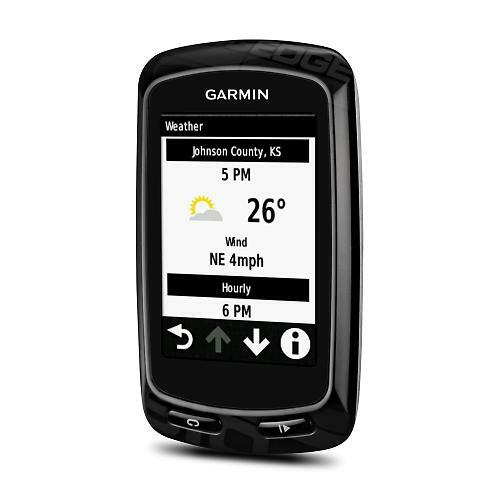 Garmin have launched two brand new GPS computers today, the Edge 810 and 510 GPS computers, which feature smartphone connectivity, live tracking and weather updates and easy social media sharing. Externally, the 810 is virtually identical to the previous 800. The same dimensions and colour touchscreen, with no improvement in the resolution. 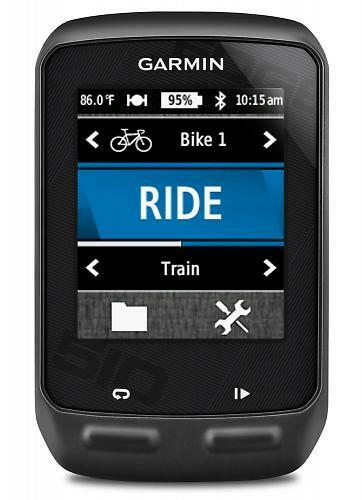 The 510 meanwhile has a larger form factor, and gets a full colour screen and improved interface over the current 500. The Edge 810 has a 2.6in colour screen with a 17 hour battery life and is compatible with optional detailed street or TOPO maps including BirdsEye Satellite Imagery. The Edge 510 has a new larger 2.2in colour touchscreen display and is compatible with both GPS and GLONASS satellites for faster satellite acquisition and improved signal lock. The 510 offers the promise of a 20 hour battery life. We expected there might be a big update for the popular Edge series in our 2013 predictions and trends article, but it’s clear from the name this is a smaller update than we might have expected. 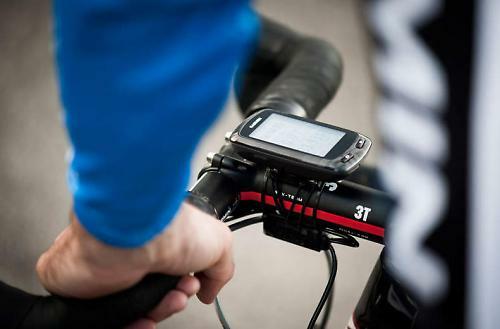 There’s a lot more functionality packed inside both new computers however, and both now boast the ability to connect to your smartphone so you can do cool things like live tracking and easier sharing of your ride data through various social media networks. Perhaps most useful of all to us UK cyclists is the live weather mode. The Edge 510 does everything the 810 does bar the navigational stuff. 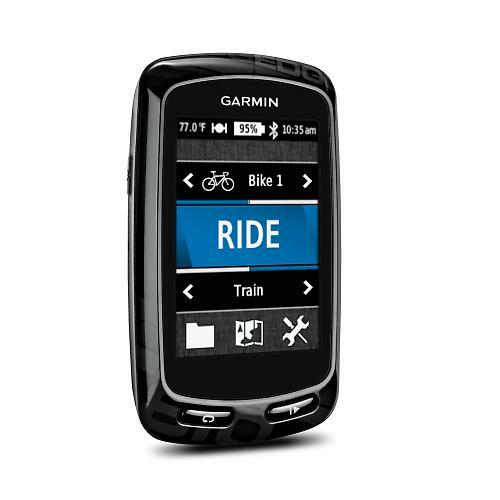 The new Garmin Connect Mobile app (runs on iOS and Android) hooks up to the new Edge via Bluetooth so you can post details of your ride straight to Facebook or Twitter the moment you step of the bike at the end of a ride. No waiting to plug the Edge into a computer before you can share. 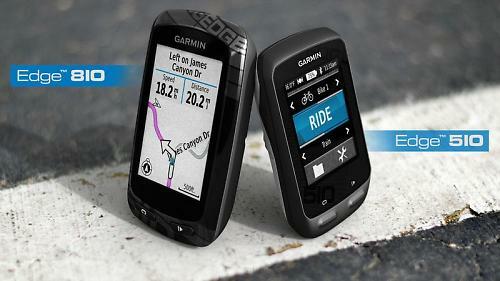 In a world where more and more people are using smartphones and tablets, this is a smart move by Garmin. Live tracking means family and friends can follow your ride from the comfort of the sofa. This will be of limited interest to many people, but for big races and challenge rides it is a good way of letting anyone interested track your progress live. Perhaps more useful is the real-time weather forecasts and alerts the Edge 810 can serve up when paired with your smartphone. Now you could adjust your ride accordingly if there is a storm approaching. I wonder if it would be possible to ensure you always finish a ride with a tailwind? 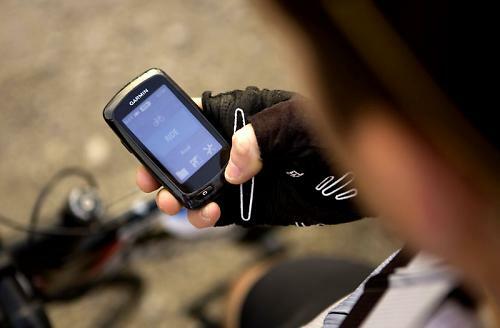 The new Garmin Connect Mobile app will also make it easier to download routes and activities to your Garmin. Simply choose a route you want to follow and send it from your smartphone to the Edge computer. 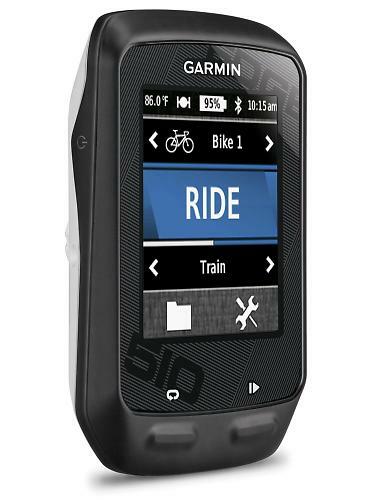 The Edge 810 now does mutliple bikes and activities more easily, which those people who use their current Garmin on different bikes will appreciate. So you can easily swap it from your mountain bike to your road bike and back to your cyclocross bike. You can adjust the displayed data for each activity, so you could display a power based output on the road bike and switch to heart rate data on the cyclocross bike. The aftermarket silicone protective cases are now available in some bright colours to complement the colour of your bike.